Schlesinger Interactive Europe is Schlesinger’s European online solutions division. As Director, Client Development, Agron oversees European key accounts to support his clients’ immediate and long-terms research objectives with a special focus on online surveys and hybrid solutions. Agron joined Schmiedl Marktforschung in 2005 as a Technical Supervisor where he gained in-depth operational knowledge and experience of data collection. Applying his relationship skills, this experience allowed him in 2012, to turn his attentions to a business development role, supporting solutions for quantitative research studies. In 2017, Agron was promoted to Director, Client Development for Schlesinger Interactive Europe, expanding his client solutions services and feasibility consulting at a national and international level. Agron is based at our Munich office in Germany and speaks fluent English, German and Albanian. 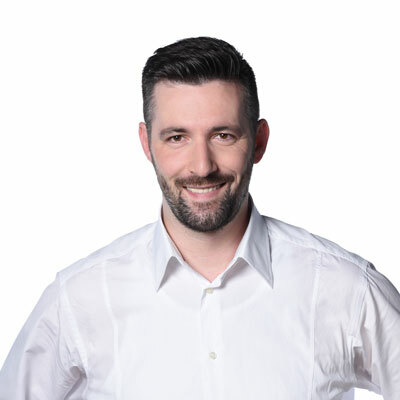 He holds a Master of Science in Management and Informatics from the University of Prishtina, Kosovo and is also a Bachelor Professional of Business (CCI). Agron lives near Munich where he enjoys spending time with his family and friends. He is an avid mountain biker and also enjoys music, traveling and sampling tastes from around the world.